A tribute to those who died. 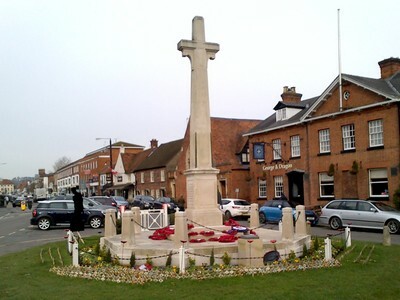 Over 230 men and boys from Marlow and the surrounding area served and died in the War. As a fitting tribute to their sacrifice, we have planted a Remembrance Cross for each of them by the memorial in The Causeway. 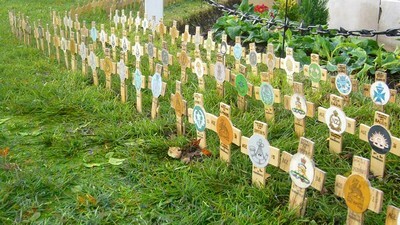 For the first tribute, a cross was planted on the 100th anniversary of their death. 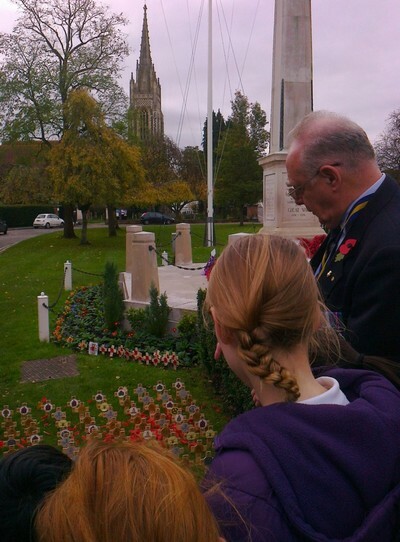 The tribute was recreated on the 100th anniversary of The Armistice. We believe this serves as a poignant reminder of the impact of the War on the town. 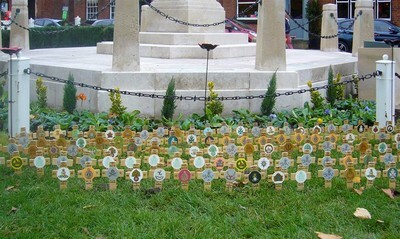 Remembrance crosses planted on the 100th anniversary of The Armistice. 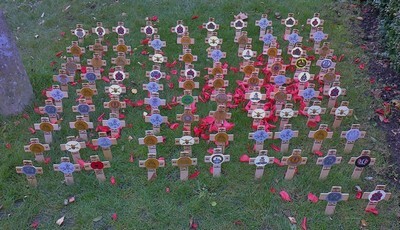 Remembrance crosses planted on the 100th anniversary of their death. 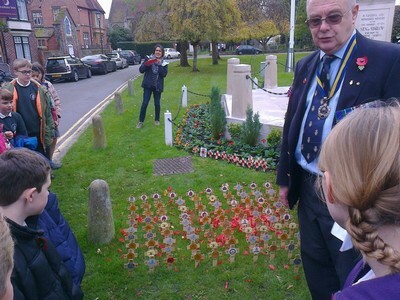 We are very grateful to colleagues in Marlow Camera Club who have provided a photographic record of the development of this tribute.